My professional life is devoted to the study of why we as eternal, spiritual beings decide to take temporary residence in bodies on the physical plane. I even wrote a book specifically about why we plan before we’re born to experience great challenges in life. My personal life mirrors my professional life: Each and every day, I do my best to fulfill what I feel is my soul’s purpose in this lifetime. I have now experienced both Embodying Awareness (Level 1) and the complementary Actualizing our Entelechy (Level 2) inside of the Speaking Tree of Life Academy. Even after all my research, after everything I have seen and read and heard, I was unable to understand fully Circuitry Alignment (STOL’s Level 1) until I read I Remember Union. This gem of a book was given to me prior to my first Circuitry Alignment. I made the mistake of placing it on my bookshelf. I pulled it off the shelf following my second alignment. It was then and only then that I was able to comprehend and integrate the energetic process I had been fortunate enough to receive. In reading I Remember Union, I realized that C.A. is a technology – a technology that has been gifted to our world by Spirit at this critical juncture in our evolution. 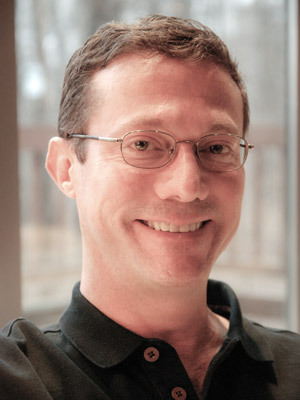 This technology facilitates, at a cellular level, the process of remembering Who We Really Are. The phrase “remembering Who We Really Are” has been bandied about in spiritual circles, so let me take a moment to define what this expression means to me. You, the consciousness reading my words at this moment, are a personality. As I have learned in my research, a personality is a portion of a soul’s energy in a human body. The soul is vast and spans many dimensions, yet each personality is dearly loved by the soul. 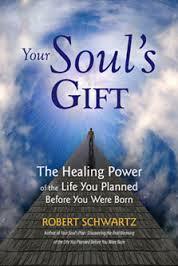 Before you were born, your soul created a Divine Blueprint for your life. The Blueprint contains the full expression of all your soul desires to learn and express through you. Your original Divine Blueprint in perfect. 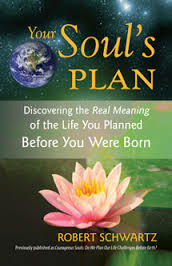 In a sense, the pre-birth plan created by your soul pattern is a role in a play. You don a costume – the identity you have in this lifetime – and then step onto the stage of Planet Earth. Because you have free will, you can play the role your soul scripted from you, or you can improvise and create new lines on the fly. A crucial difference between many people and a real actress on a real stage is that the actress is not identified with her part. She knows who she really is and that she is not the character she plays. By contrast, when we enter the physical realm, we cross a veil of forgetfulness. Many of us forget that we are soul; we believe instead that we are our bodies and our personalities. Circuitry Alignment is a technology through which we can reverse this amnesia, remember that we are soul, and ultimately come into greater recollection of our Divine Blueprint for this lifetime. It is then that we can truly fulfill our soul’s highest intention for this lifetime. As I Remember Union tells us, “God (Goddess) planted within the souls of men and women a seed, which housed the memory of their divinity and of their birth into form” (p. 23). This is more than mere beautiful sentiment and language; it is literally true. Your soul has implanted this seed in your physical body, just below the xyphoid process (the spear-shaped cartilage at the end of your sternum). “We encode our calling . . . as a seed kernel called the seed of Light, and we each remember this code at exactly the chosen moment” (p.31). Circuitry Alignment is the choice to remember Divine Union inside ourselves. It is akin to watering the seed placed within you by your soul. When that seed germinates, it releases your soul’s “encoded instructions for its chosen work” (p. 54). So I went inward and became stronger. into the bowels of my creation. Each cell opened to expand its dimension. The light was the code of life within me. by allowing the light to direct the flow of awareness. and calling forth its perfection. and remembering the coding of my matrix. and jointly bringing their differences into oneness,. “Are we not the spirit in flesh? Is it not the knowledge of this which compels us to search? Is it not our soul which brings the light from the darkness of the world, to sit beside us and guide us onward, giving us solace? Is it not the soul which urges us to kindness and speaks to us of love? There is no separation, for within you in the seed of your soul is the unity and truth which you seek. It does not exist outside of you, in the world. It exists within you” (p. 239). Know that they have the truth within them and that they will find it. See them always, Mary, as if they are remembering it” (pp. 414-415). In Mary Magdalene’s work as a sacred healer – her true profession in that lifetime – she performed the equivalent of what we now call Circuitry Alignment. That is, she activated the soul’s seed of light, and the light spread quite literally to all the cells of the body. By seeing people as though they were already remembering their true nature as holy, eternal souls, Mary Magdalene activated and awakened those who came to her in the very same way that modern-day practitioners of Circuitry Alignment help people to awaken and remember: They hold the energetic space into which we walk when we choose to ignite our soul’s Seed of Light. This brings us full circle to the notion that life on Earth resembles a role in a play. If someone you love dearly agreed to act in play, somehow forgot his real identity, and came to believe that he was the character he portrayed, you would no doubt kindly and compassionately seek to remind your loved one of who he really is. This is what your eternal soul wishes to do with you through Circuitry Alignment. Lovingly, kindly, compassionately, your soul has nudged to you these words, in this place and at this time, so that you will be part of The Great Unified Awakening.